As IVF is an increasingly more common medical procedure, more spare embryos are available. Recent studies indicated that, of the couples who were attempting to conceive through IVF, 70 percent would be willing to donate any embryos that they might have left over after getting pregnant successfully. And there are more and more of such eggs. If you don t have the possibility of getting pregnant with your own eggs, embryo adoption could be a real option for you. What are the pros and cons of embryo adoption? Embryo adoption could provide women who would otherwise not be able to gestate a pregnancy to be pregnant, and give birth themselves. Embryo adoption finds homes for embryos that would otherwise be destroyed or remain in storage. 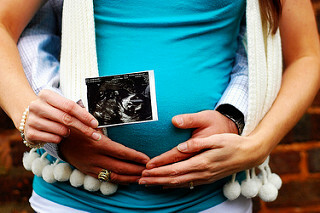 Being pregnant provides the intended mother with the opportunity to bond with her unborn child in utero. Some fertility clinics have programs that match women with embryos at a relatively low cost, meaning that the IVF will need to be covered, but the embryo, which was often donated by its biological parents, is offered at no additional cost. For couples in which both partners have fertility problems, embryo adoption is easier than locating a sperm donor and an egg donor separately. Embryo adoption is legally more straight forward than traditional adoption, as it is seen as a transfer of property in the eyes of the law. Some people are uncomfortable with anonymous embryo adoption, in which they know very little about the background of the embryo. Embryo adoption agencies can be extremely costly, though as seen above, they are not the only means of being matched with an embryo. Some argue that embryo adoption puts already existing children awaiting adoption at a disadvantage. Though I think that is largely a flawed argument, as those choosing adoption and those opting for fertility treatments are not the same groups of people. Those matched with embryos through Christian agencies will not have the opportunity to have multiple embryos implanted simultaneously. Is it possible that you see no embryo/fetus after abortion/miscarriage?